Introducing our FreedomPop Family Mobile Phone Plan! Get Free Unlimited Talk/Text & 1GB of data on up to 10 lines! FreedomPop’s new family plan offers unprecedented cost savings each month starting with its basic free bundle and heavier data paid plans starting at just $15. 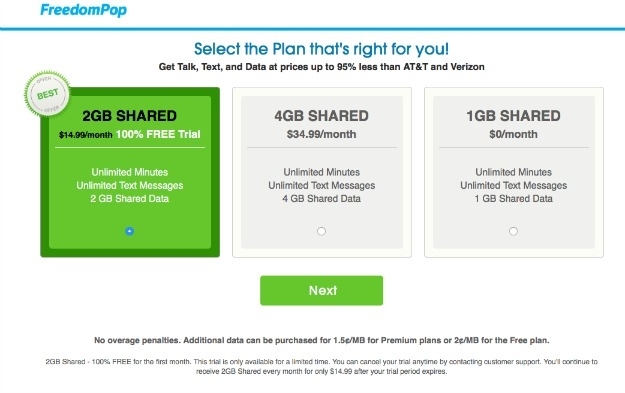 In your FreedomPop Family Plan you can have 2-10 Lines. You can stay connected for free and enjoy unlimited voice, calls and texts, plus up to FREE 1GB of shared data! There is a $5 Line-Fee per line. You can also purchase larger data plans, suitable to your requirements starting at just $15. In addition, FreedomPop is also offering an extra bonus 50 MB of free data for each family member -- the bigger the family, the more opportunities for free data. Step 1: Visit https://familymobile.freedompop.com and enter your Zip code and Email Address that you want to attach to your account. Step 2: Select 2 -10 Phones from a variety of devices. You can mix and match different devices in your Family Plan. Step 3: After you select the number of Lines (Phones), select the plan that matches your requirement. Note: FreedomPop Family Plan offer FREE Premium Voice, Group Messaging, Multimedia messaging and Visual Voicemail services to all of your Lines. Step 4: Proceed to checkout. A summary of your shopping cart is on the left and on the right you have an option to pay with either your Credit Card or PayPal account. After filling in your information, click on Activate and wait for your order to process. You should be directed to Phone Number Selection Page, where you can select the area code of your choice. This is the Final step. You should see a “Congratulations” message on your screen. All the information regarding your shipping order and account details will be emailed to you. I've read elsewhere the Family plan is for phones on the Sprint network only. Can you confirm? Choice of two phones to purchase. Can't bring FreedomPop phones nor BYOD phones to the plan. No SIMs, yet. I think it's their way to stop the thundering herd while they test their family software. Hello. I have already purchased a phone for my oldest son, and tablets for my husband and I though freedompop, but we are not on the family plan. We are all just under my acct with three different numbers. I am interested in purchasing a phone though you guys for my youngest son and would like us all to be transferred over to the family plan. I've looked around on the mobile website and followed the directions, but it just keeps bringing me back to my account page. I have not tried on the computer yet, but wanted to know if there is a way to transfer plans like I've explained, or if I have to cancel my account and deactivate devices, then create a new account with a family plan and byod for the existing devices. I have also been thinking about purchasing a new phone for myself in the near future and would like to have the option to add that to the family plan too. Thanks for any help you can give me. FreedomPop Family Plan now offers GSM SIM kits. Do these also have the "FREE Premium Voice, Group Messaging, Multimedia messaging and Visual Voicemail services to all of your Lines. ", i.e unlimited cellular minutes and SMS? @Terry Fowler ... little experimenting and now I can explain how to get that page linked originally. You need to log out of your FP acct (not the forum, but main FP). The page is only available for a new signup, so you'd need a new email address. Tip: a pseudo new email address if you use gmail (and some others) is to add a +whatever before the @ symbol. Example: [email protected], [email protected], [email protected] all go to [email protected] Freedompop will treat them as different emails, but gmail will not. If you're already setup then you may want admin assistance at some point. But ... that is how you would access the page and sign up for the plan. Numbers and devices can always be switched to some extent, but I don't know what you're hoping to do and I'm not an admin so I don't have access to more sensitive information or the ability to make any account changes. Anyway, I hope this helps. How do I sign-up for the 79.99 1GB annual plan. Mine is a new phone number. Thanks. Family Plan, 2 lines, GSM SIMs. Currently signed up as "free" text, voice, 1gb Data (shared). 10 gb as "Available" - at $82.99/mo. I don't want (or need) 10gb, 2 is plenty and elsewhere (ablove) I've seen references to the 2 gb plan @ $14.99/mo. How do I change my plan to the 2gb? I currently have one individual line with FP. I want to sign up another line and make two lines for the family plan. Can I do that? Can you port existing numbers from Sprint to new phones purchased in the family plan? @KYAW SWA . & @daveyvigs My understanding is one needs to purchase either 2 phones or 2 SIMs to start a family plan. Additional lines can be added later by purchasing another of the same. 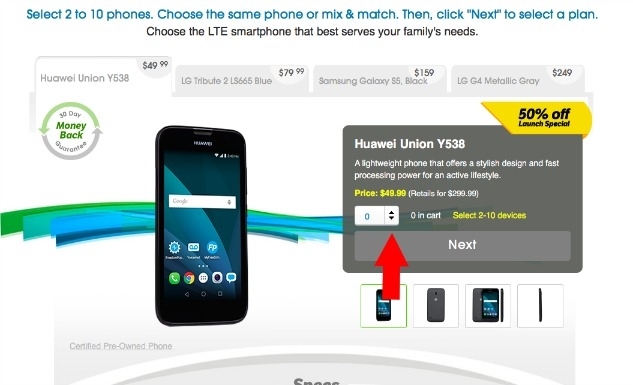 If only FreedomPop would allow re-use of FP phones that they are selling for family plan with starting plan or adding a line. That would atleast help some of us to chose to start a family plan. It appears that their capability to do any form of porting any number, be it from the account portal (feature coming soon), or through trouble tickets (their response to port request: "Porting is unavailable in the Family Plan, and we have considered this as resolved".) FOR THE RECORD, I don't consider an ongoing malfunction (either as deliberate refusal to let people port, or as programming inability to fix porting application protocol) as resolved. I am planning to buy 2 lines, with at least 2 GB share date, I found these are going to cost $ 24.99 after 1st mount, please let me know about the hidden fees, that will be add to that. And another question is can I bring my phone number from others. Is the 5$ line fee a single fee when purchasing the plan or is it a monthly fee of 5$ per line plus the plan? I started an order for family plan with 4GB shared. Here is the detail paragraph above the "Activate" button that authorizes the charges on your card. By clicking Activate, you agree to pay the amount Due Today. Your FreedomPop service will not begin until your device ships. Orders placed after 12pm PST will ship the following business day. Certain orders may require up to two additional business days for processing. Your subscription includes a 1-month(s) free service trial. At the conclusion of your free trial, your service will automatically renew at the provided rate found in your shopping cart of $54.99 every month. When downgrading to the free plan, an account balance is required to protect ourselves from fraud and leakage, as data usage can be delayed up to 3 hours. Downgrade by logging into your FreedomPop account. Cancel service by contacting support, Monday-Friday between 9am-5pm PST at 1-(888) 743-8107. FreedomPop service currently only supports Android and Apple devices running Android 4.1+ and iOS 8.2+. Hi All, I am interested in the 4GB family plan for 2 lines, and wanted to know how much it is going to cost per month ($44.99?). Do you they have the option to prepay for 12 months for family plan, and in that case how much it would cost yearly? Hi All, I am interested in the family 4GB plan for 2 lines, and wanted to know how much it is going to cost per month ($44.99?). Do you have the option to prepay for 12 months for family plan, and in that case how much it would cost yearly?